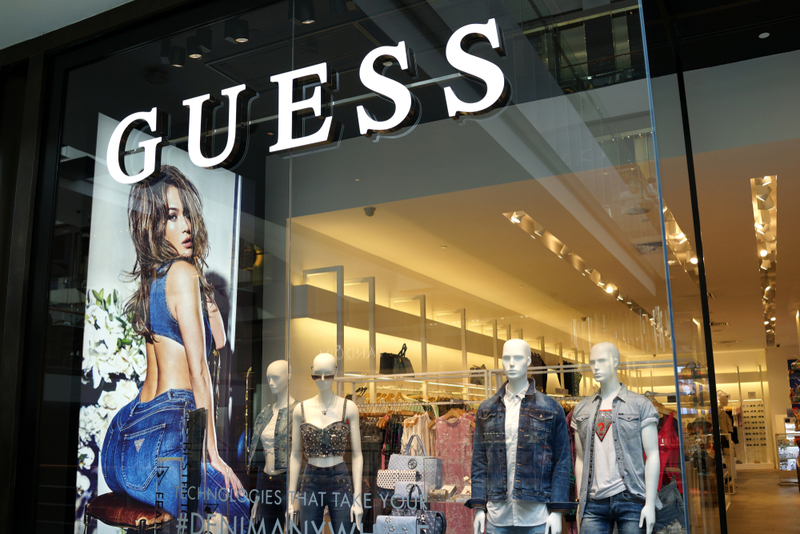 Guess Inc. returned to profitability in fiscal 2019, while posting revenue and income gains in the fourth quarter. Alberini, who had been president and chief operating officer of the company from 2000 to 2010, noted several areas of the operation that offer opportunities for improvement that should yield operating margin growth over time. The company gave guidance of an increase of 2.5 percent to 3.5 percent in net revenue in the first quarter and 4 percent to 5 percent for fiscal 2020. Sales: Guess Inc. reported revenue for the fourth quarter ended Feb. 2 increased 5.7 percent to $837 million, compared to $792.2 million in the prior-year quarter. The company’s fourth quarter of fiscal 2019 results included 13 weeks, while the fourth quarter of fiscal 2018 results included 14 weeks. Retail revenue for the Americas decreased 0.7 percent. Retail comp sales, including e-commerce, increased 6 percent. Wholesale revenue for the Americas was up 19.2 percent. Europe revenue rose 4.1 percent, while retail comp sales, including e-commerce, were flat. Asia revenues increased 21.7 percent, with retail comp sales, including e-commerce, rising 13 percent. Licensing revenues gained 9.9 percent. For the full year, revenue rose 10.4 percent to $2.61 billion compared to $2.36 billion in the prior year. Americas Retail revenues fell 1 percent, as retail comp sales increased 4 percent. Americas wholesale revenue rose 13.6 percent. Europe revenue were up 14.4 percent, with retail comp sales gaining 5 percent. Asia revenues increased 25.7 percent, while retail comp sales rose 15 percent. Licensing revenues increased 14.3 percent. Earnings: Net earnings in the fourth quarter jumped to $23.2 million compared to net earnings of $1 million for the year-ago period. Operating earnings for the fourth quarter declined 3.2 percent to $66.7 million, including a $1.4 million unfavorable currency translation impact. Operating margin in the fourth quarter decreased 70 basis points to 8 percent from 8.7 percent in the prior-year quarter, driven primarily by higher distribution costs in Europe and lower product margins in Asia, offset by lower performance-based compensation and lower markdowns in Americas Retail and Europe wholesale. The positive impact of currency on operating margin for the quarter was approximately 30 basis points. For the year, net earnings were $14.1 million compared to net loss of $7.9 million for the fiscal year ended Feb. 3, 2018. Operating earnings for fiscal 2019 were $52.2 million, including a $7.5 million unfavorable currency translation impact, compared to $67.4 million in the prior year. Operating margin decreased 80 basis points to 2 percent compared to 2.8 percent in the prior year, driven primarily by the charges related to a European Commission fine and higher distribution costs in Europe, partially offset by lower markdowns in Americas Retail and leveraging of expenses in Europe and Asia.